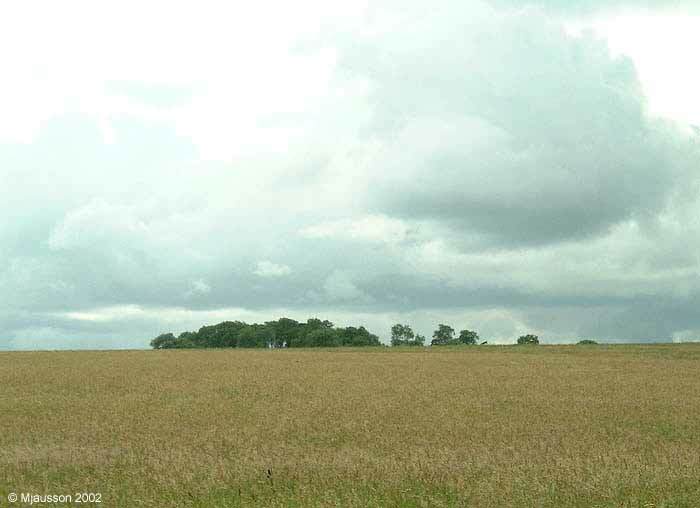 Location Knap Hill, Wiltshire, OS Explorer 157. 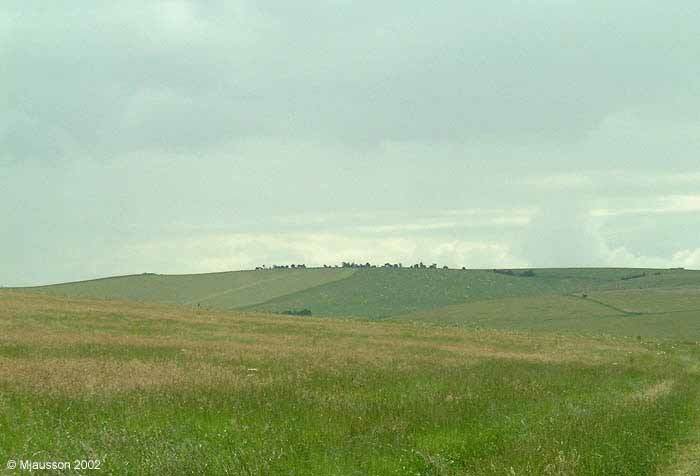 This was a long and blustery walk mostly along Wansdyke in the downs between Devizes and Marlborough. 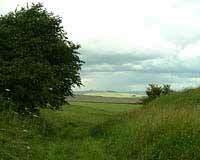 I parked in the car park at Knap Hill and walked up past Eald Burth Settlement to Wansdyke. From there I followed the dyke eastwards until I hit the road at South Lodge. 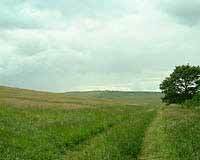 I followed the road south and turned east onto the Wansdyke Path. After a short detour into the medieval village of Shaw, I walked through Gopher Wood and headed back to my car on Tan Hill Way. Weather A mix of showers and sunshine. I sat out a shower in the car but this thistle got wet. 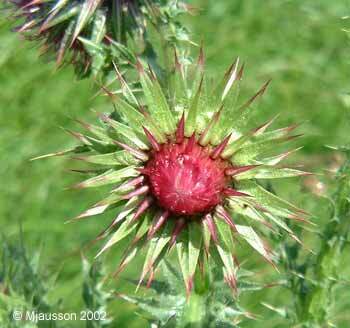 The spikes look even sharper when they glisten with water. 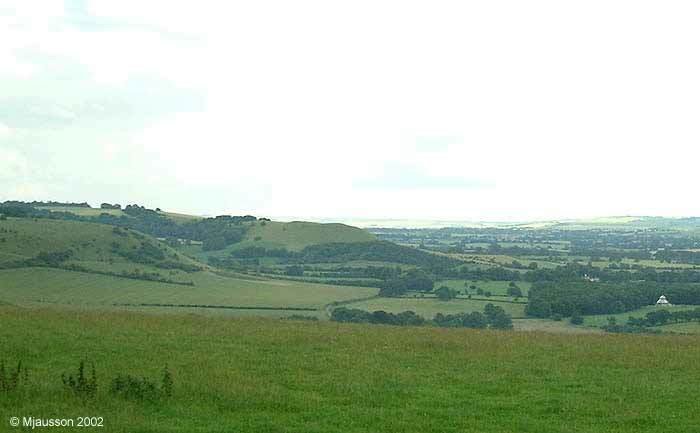 The view back shows Knap Hill on the other side of the road. 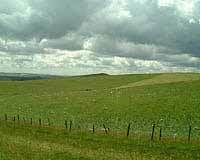 There's a neolithic camp, a settlement and some tumuli on Knap Hill says my Ordnance Survey map. I think the hump on the hill in the background is Adam's Grave long barrow on Walker's Hill. 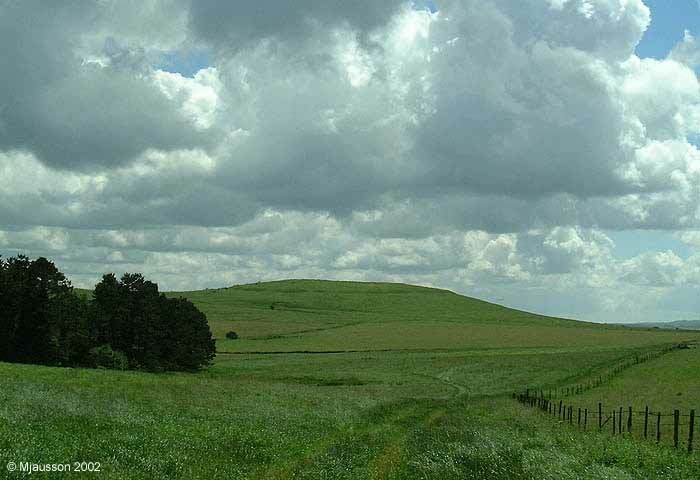 But even when I was there it was hard to tell which hill was which. An army of clouds is marching across the sky, mirrored by a flock of sheep below. Here we are at Wansdyke. A notch has been dug for agriculture access. 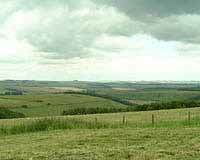 Wansdyke is named after the Saxon god Woden but we don't know if it were the Saxons who built the dyke. 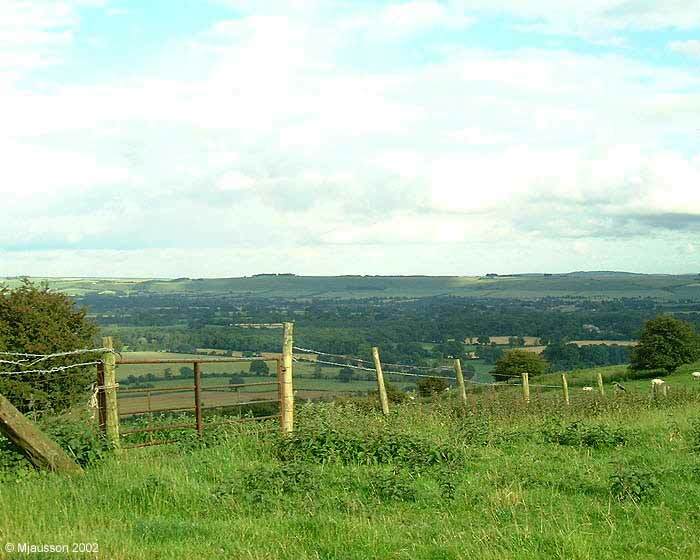 It stretches all the way from a point south of Bristol to Savernake Forest, a few miles away from where I stood when I took this picture. 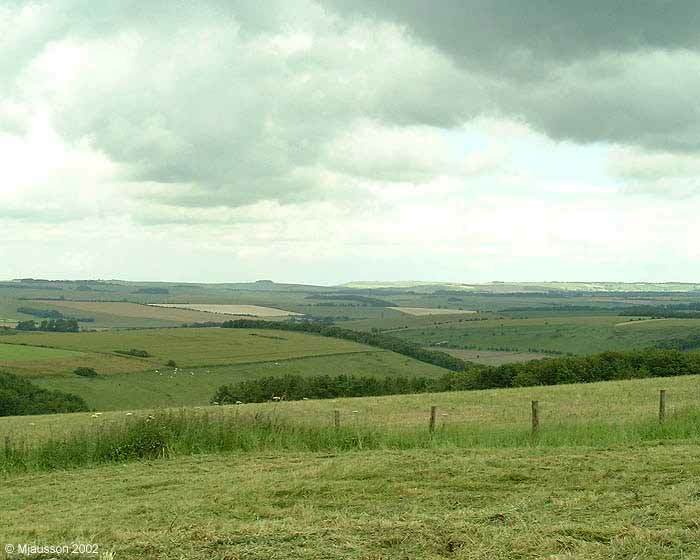 I'm on the north side of Wansdyke here, looking northeast towards Furze Hill. A shower arrived not long after this picture was taken. By Shaw the Wansdyke Path leaves Wansdyke itself. I had just spent a pleasant half-hour leaning against the big tyres of the blue tractor while having lunch. When a sudden drop in temperature signalled another shower, I got up and started walking again. Unfortunately the map isn't much help in figuring out the name of the hill in the distance. I do know that the road is between us and that hill and that I was looking pretty much straight to the west. 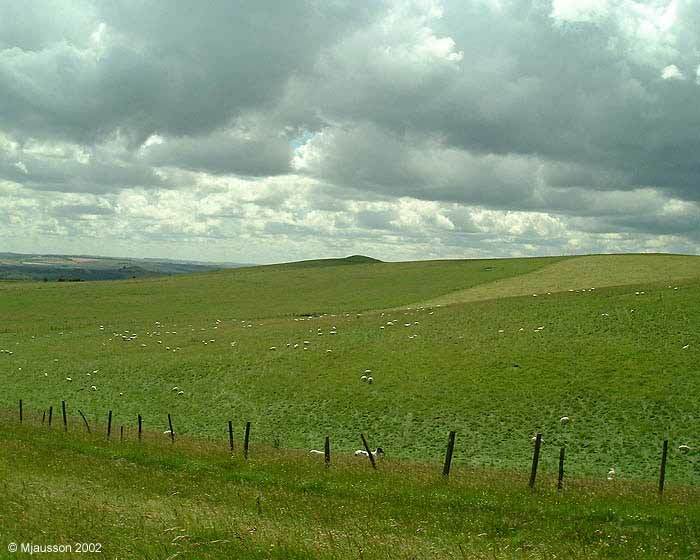 This one is easier, it's the copse on top of Golden Ball Hill. 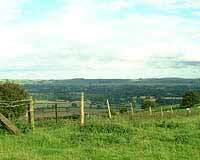 Here we are on Tan Hill Way on top of Draycott Hill looking down on the Vale of Pewsey. The sun had come out again and I had recovered from a scary encounter with a bull in Gopher Woods. 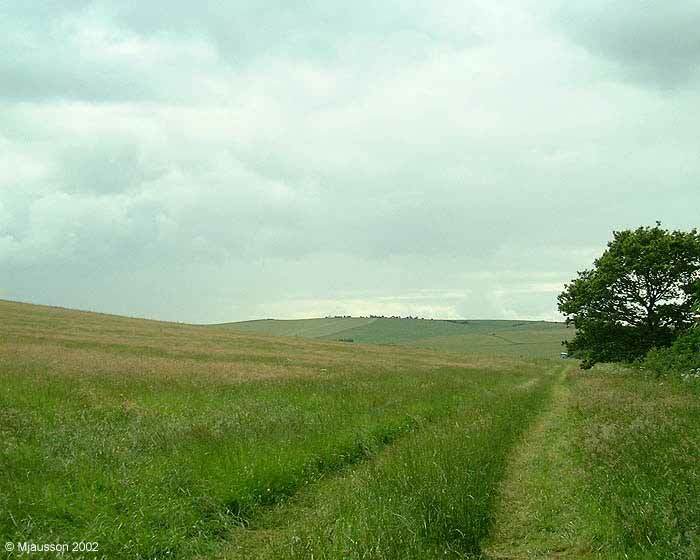 The last picture of the day shows the gentle folds of the Downs above Oare. Copyright Mjausson 2002. Click here for the original website.